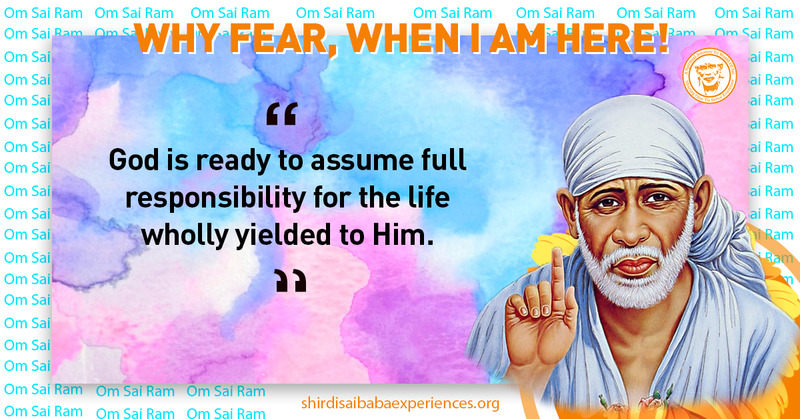 Sai Devotee Swati M from India says: Om Sai Ram to all Sai devotees and a heartfelt thank You to Baba for instigating me to write this experience. Hetal maam, you are truly blessed by Baba to carry out such a noble task. I am a homemaker and a mother of 2 wonderful daughters aged 9 and 6. 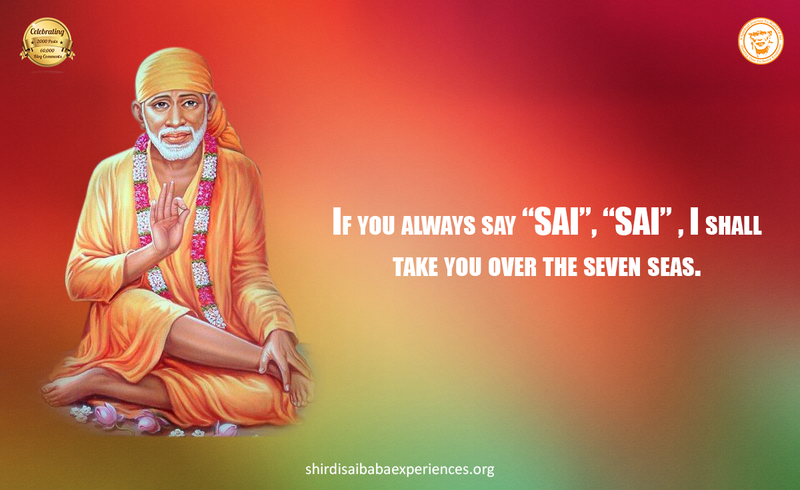 I have been a Sai devotee for long but a conscious one since the last 6 months. Coming to my experience. It was a Thursday I guess and me and the girls had gone to a Sai temple close by at 7.30 in the evening. I had the car with me that day as my husband was traveling. The lane where the temple stands is a broad one and I parked my car diagonally opposite to it. The temple has a larger than life Baba’s statue there. I could see Him clearly from the opposite side of the road when I parked the car. We did our usual pooja. The girls had prasad and we trotted towards our parked vehicle. As I turned the key to start the car, it didn’t start. I tried again and it did not start again. I remember very clearly. I turned and looked at Baba’s face that I could see from the opposite side and told Him that see what I have got into? Please solve this for me. The kids got restless and frigid. I told them the problem and asked them to sit tight and called a known mechanic and explained the situation to him. He promptly said that the battery had failed and you would need to push the car and start it on half clutch and gear. My heart sank. How would I push a Mahendra SUV. On top of that the road is a busy road but relatively deserted at night. I gathered strength and looked for people who would help me push the vehicle. I kept looking at my Lord wondering how on earth I would get out of this situation. Luckily a group of 3 to 4 men came to my rescue and one of them got into the car and the others began to push it. My younger daughter got frightened looking at the strangers and started crying loudly. I tried to pacify her in my mother tongue. The boys too happened to be of the same caste and warmed up towards the kids and me and tried their best. But the car didn't start. They pushed it to a corner and told me to park it off here and get a mechanic in the morning to mend it. I didn't know what to do and leaving it there on a deserted road was not an option. Suddenly out of nowhere a man appeared, looked around, threw his backpack on the co-pilot seat and went ahead and opened the bonnet. He removed some mechanical instruments from his bag and tried his hand at something. Out of fear that he might mess up or damage some part, I told him, “Bhai sahib, let it be, it’s ok if you can't solve it. I will get a mechanic to mend the car tomorrow morning. Let it be.” This gentleman who was completely at his job just turned around and pointed to his shirt pocket. The words Maruti Suzuki were embroidered in blue. I am a senior mechanic at Maruti and my workshop is around the corner. Don't worry. Your car is in safe hands. Within a few minutes, he was done and he went and turned the car ignition and the car came alive! Loud and clear! At that moment I felt as though someone gave me fresh air to breathe. I was overwhelmed and thanked the man endlessly and gave him handsome tip. He warmly accepted it and shared his number with me and said he would be happy to help in the future. Baba sent Sheikh Mechanic to my rescue. While driving back home, I couldn't but run the entire episode repeatedly in my head and be assured that it was Baba’s grace that saved me and the kids. Why fear when I am here. Baba, You know well that my faith weakens at times. Help me, help myself. Thank You for being my anchor. Om Sai Ram. Anonymous Sai Devotee from India says: Sai Baba gave me His divine blessings once again this Thursday. Jai Sai Ram! Sri Anatha Koti Brahmanda Nayaka Raja Di Raja Parabrahma Sri Sachidananada Sri Samartha Sadhguru Sainath Maharaaj kii Jai!! Om Sai Ram! 24th Feb 2017 – Yesterday it was Thursday and I went to nearby Sai Baba temple as usual. When I was entering to visit Sai Baba’s idol in the park I was looking for the old woman to whom I always give dakshina but that day she wasn’t there. I thought she might not have come due to some personal commitments or her husband being unwell. Thinking this way I went near Sai Baba’s idol in the park, I saw one devotee standing and doing Abhishek to Sai Baba’s feet and idol, I felt like bliss seeing Sai Baba being given holy bath with milk, seconds later, the pujari called me and gave one milk packet and asked me to do abhishekam. I felt innumerable thanks to Sai Baba for giving me the opportunity. I did not ask for the opportunity but I was standing admiring the holy bath, what a miracle by our Sai Baba, He knows how to make His devotees happy and fulfilled. Thank You very much Sai Baba. Post this I turned around and I was proceeding towards Krishna idol in the park, then I saw the old woman entering the park, I felt very happy seeing her and could donate some amount of Sai Baba’s given money to her. Jai Sai Ram! Thank You very much for Your holy wishes and making us feel that You are always there to guide us through right path and just concentration and patience is the only thing that we need to have. Jai Sai Ram! Anonymous Sai Devotee from India says: I am from Delhi. Thank you, Hetalji and the entire team, who maintain this site so beautifully. I want to share my recent experience. Om Sai Ram. I was going through a court case for last three years. There were uncertainties and concerns about the outcome. I went through lot of harassment as well, my whole family was worried about these and we were not sure when and how this would be settled and we will be out of this matter. We prayed to Baba and seeked His blessings to settle this matter and by the grace of Sai Baba, all of a sudden things took a positive turn. All the concerned parties took a very supportive approach and the case finally closed, was done in our favour. It was a life learning experience and we will never forget how we were blessed by Baba to get relief from this legal issue which took lot of time and energy. It was a divine feeling when the judgment was passed and we felt as if Sai Baba was holding our hands and took us out of this matter. We also seek blessings from Baba to get my wife's job transferred to a nearby location. It was really a tough ask as lot many people seek transfer to a certain location which is a good branch. 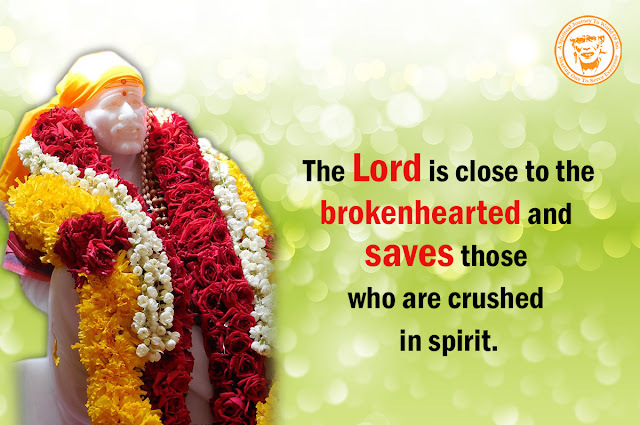 But when Sai Baba is with us, we need not worry about anything. In the most appropriate time, my wife got transferred to the nearest branch and we were very relieved and happy, all thanks to Sai Baba. 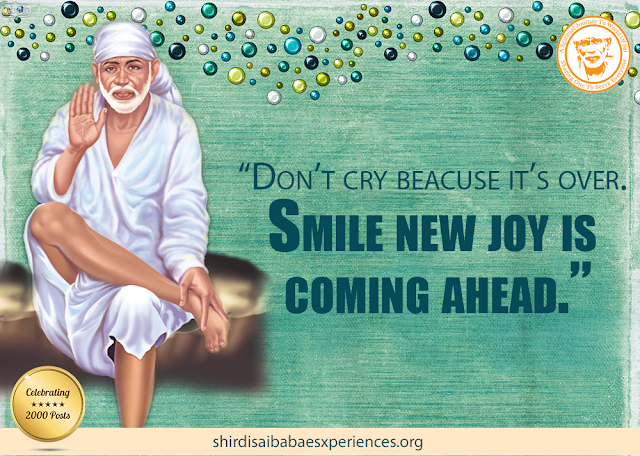 We are very lucky to be having You Sai Baba. Om Sai Ram. Anonymous Sai Devotee from Bahrain says: Hetalji I am from Bahrain. Please do not disclose my name and Id. I am a house wife. Om Sai Ram to all Sai's children. Special thanks to Hetalji and team for this noble work. You all are Baba’s blessed children. Now come to my experience. I am from India but presently leaving in Bahrain with my husband and 13 year old son. My son is hyper since birth. It is very difficult to handle his mood but with my father Sai Baba’s help I have managed till today. But along with his hyper nature now it is still difficult to handle his studies. Otherwise he is bright child by Baba’s grace. Two months before he got angry on everyone don’t know real reason. He totally stopped praying God. For every wrong things happened to him he started blaming God and me. He started really blaming me. When our child gives us a back answers for no reason how much it hurts us? I am an ardent believer of Baba, I prayed Baba if my son at least again starts praying and meditating on You, I will post my experience. If you ask any relevant thing and Baba will not give you it will never happen. But whatever we ask it should be with trust and not to harm anyone. And see from 1st February 2017 he again started his prayers. Still his mood is not good sometimes but I know my father is working on that also and soon He will make his life stable and settle. Baba Your daughter is praying for her husband and her son. Please listen to my prayers. Om Sai Ram! Anonymous Sai Devotee from India says: I am a software engineer from India. I had to give a demo to my team mates on one of the tools that we are using for our project. Initially, even though was a bit hesitant, I agreed, although I was not so confident. I tried to understand that tool as well as I could, but even after two weeks I was not sure if I had understood it well enough to demonstrate it to my team members. Also I was so nervous about what I would tell them, I decided not to give it. Instead I prepared a word document of what all I had researched. And I prayed to Sai Baba that the demo should get cancelled. When my team lead asked, if I will be demonstrating, I explained him that there was no need for a demo actually and I have prepared a document about my findings and explained to him what all has been documented. He agreed and just asked me to circulate the document amongst all the team members. I was so relieved hearing this that I felt a heavy weight had been lifted off my mind. Because the thought of demo and my un surety about how well I would be able to give it nagged me and made me nervous constantly. Thank You Sai Baba, continue to guide and look after me. Sai Devotee Sai Dam from USA says: I am dust at Baba's Feet since 1994. Baba Sharanam! Thanks Hetalji for maintaining this wonderful site. I love doing my Baba's Shej Aarathi. Whenever I light a lamp with the match stick for reasons not known to me, I save the same. Looking at the paper plate full of burnt match sticks motivates me and keeps reminding me as to how many times I have done Aarathi/Pooja. It was two days back, all of a sudden I thought, let me clean up my Baba's small room and get rid/ trash the match sticks. I came to work and as usual opened this website to read experiences and looked out for one of the experiences that I posted long back. To my surprise, I read a devotee's experience about the dream where Baba asks for the burnt match sticks and it was Baba's habit to preserve the burnt match sticks. This was stunning to me and, how many times I have read Baba Satcharitra and I could not recollect reading this about the match sticks. Devotee friends, all I know, Baba is as caring as my own mother, as forgiving as my own parents. Thank You Baba! Thank You O Deva for giving us opportunities to shine and share our joy with everyone. Om Sai Ram, Bless my family baba be with them love you baba . Baba please bless everyone with good health and be with us deva and give success to my children in their exams and clear my daughter's health problem thandri.